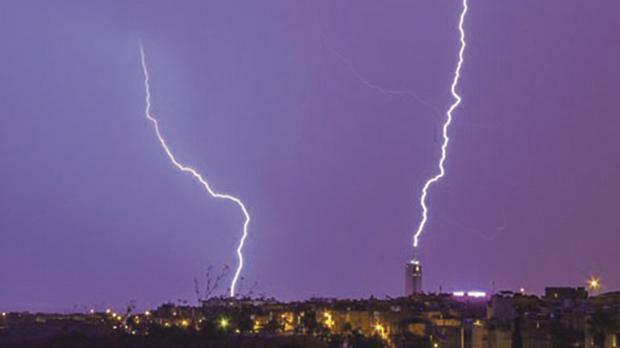 The variation of this myth is that lightning is only dangerous in wet conditions. This is not the case since lightning can strike out up to five kilometres outside of a thunderstorm. If you find yourself standing around outdoors during a lightning storm, it is not recommended that you go stand where lightning has already struck as if you are somehow protected at that spot. Instead, you need to find shelter, stay away from windows and avoid touching anything metal or electrical. And it’s always a good idea to suspend your football game until the storm passes. If you happen to be in a car during a thunderstorm, you are in a relatively safe place, unless our roads are flooding. What makes a car a decent place to hide is that it’s covered on all sides. But it is not the rubber tyres that make it safe. The same thing goes for that old wives’ tale about the rubber on the soles of your sneakers protecting you from being electrocuted in a thunderstorm. The truth is that a couple of inches of rubber on a car’s tyres – and even less on those sneakers – isn’t going to stop you from being struck by lightning. What makes a car a decent place to hide is that it’s covered on all sides, and that you don’t touch any metal or electrical parts inside the car. So be sure to close the doors and windows as it will keep your ride dry and could save you from being lit up like a human Christmas tree.